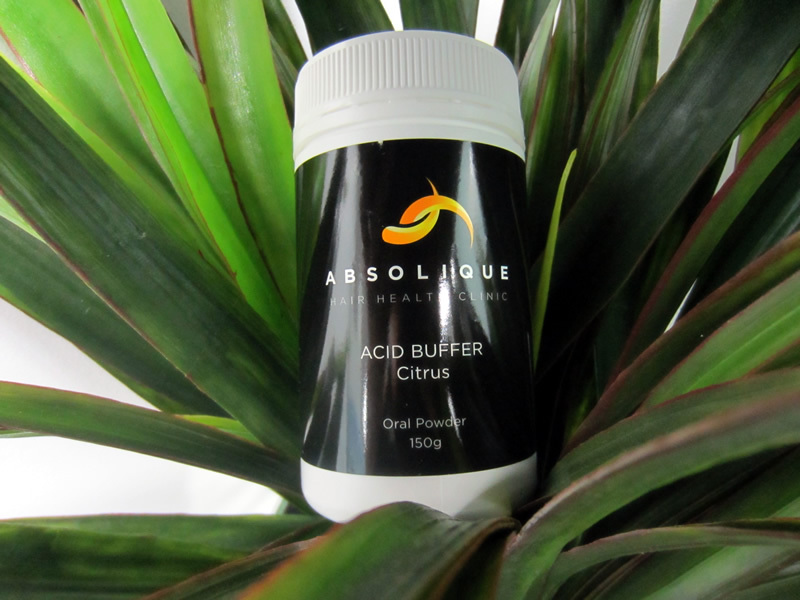 Absolique Acid Buffer is a citrus flavored oral powder to assist raising your body pH when required in combination with Absolique hair loss treatments. It is not a hair loss product on its own but may be recommended with Absolique combination therapy and nutrition. pH is measured on a scale of 0 – 14. Mid scale is 7 is where the pH is neutral. Below 7 is acidic and a state where your body does not function as designed. Above 7 is alkaline, over alkaline is not desirable as it is also out of balance. pH or 7 or neutral is the safe goal. Slightly alkaline or pH 7 is the state in which your body thrives. Disease cannot live in a pH balanced body environment. Balanced pH is important to the successful absorption nutrients, food and natural supplements. 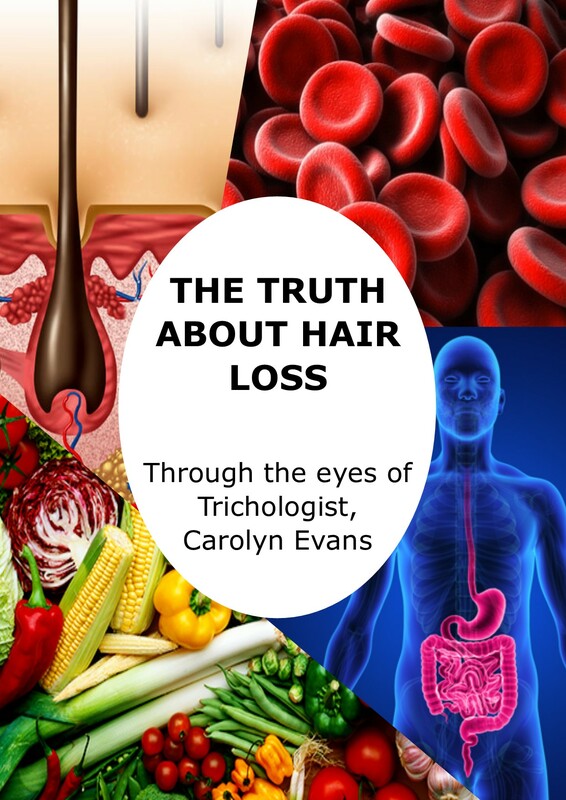 Absolique Hair Health Clinic use and recommend Natural Supplements to assist with Combination Therapy Natural Hair Loss Treatments, Scalp Treatments and Absolique assisting hair loss products. For your body to effectively digest and absorb nutrients, food and natural supplements your body pH needs to be balanced. A positive side benefit of balanced body pH is better body function and improved health, which will aid healthy hair growth, scalp and skin. Absolique Acid Buffer individual ingredients have been used to neutralize body acidity, can be used as a safe antacid to treat acid indigestion and heartburn, have been used to treat chronic forms of metabolic acidosis, are useful in urinary alkalinisation, help raise body pH, are used as a universal medicine that is nutritional as well as safe. The first step to Alkalizing is testing your pH to establish where your pH is at now. 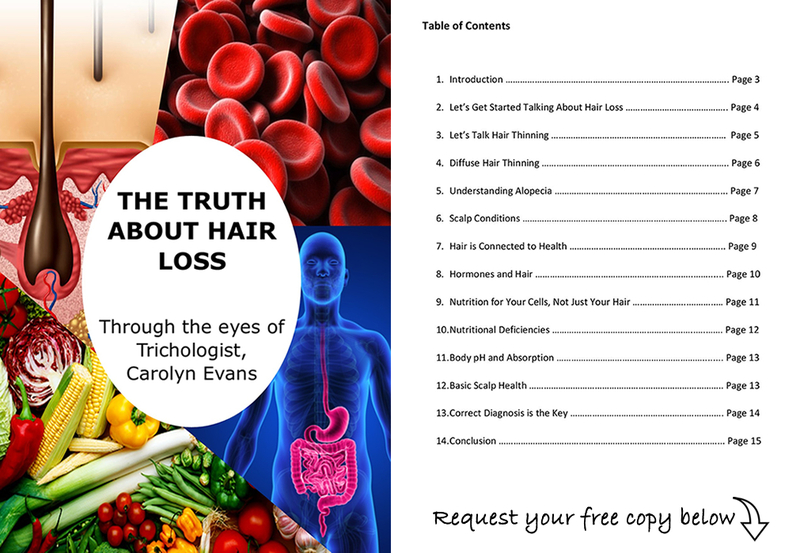 To do this, we recommend ‘Easy pH Test Kit’ available from Absolique Hair Health Clinic or www.EASYpH.com.au. Absolique Trichologist does not recommend using Absolique Acid Buffer without pH testing and is used in combination with other Absolique hair loss products. Absolique Acid Buffer Ingredients: Sodium Bicarbonate, Potassium Bicarbonate, Sodium Ascorbate, Sodium Citrate, Malic Acid, Natural Lemon/Lime. Excipents: Silica Colloidal.